Pairing: because programming is more like rally racing than F1. Unpaved, different every time, go faster with driver+navigator. Programming is a series of frustrations. Everything we do, we could do better or faster if we only had our tools set up just so. If our error messages were a little better, our code a little cleaner, our tests a lot wider. How do you balance the work you’re supposed to be doing with the work that makes your work, work? Dive into the yak stack with me. I’ll get bored with writing code, and write code to write code for me, and then write code to make that easier. Somewhere down here is the golden yak, the one with secret wisdom engraved on its skin. 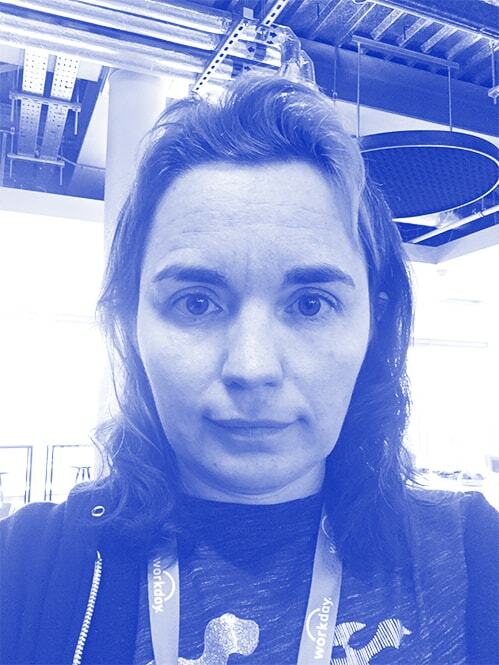 Jessica Kerr develops software in Scala, Elm, and far too many other language systems. She’s fascinated by sociotechnical systems, meta-automation, and socks. She travels from St. Louis, MO to learn and speak about programming at conferences. Her older daughter wants to be a programmer, while her younger daughter wishes she wouldn’t travel so much. Jessica is known for her enthusiasm about almost everything, especially food and Atomist.